If you haven't filed a tax return in many years or if you neglected to file a return for a particular year, you have good reason to worry. When it comes to looking for unfiled taxes, the Internal Revenue Service can look as far back in your history as required to make sure that you pay your debt to the federal government. Title 26 of the United States Code, Section 6502, sets a statute of limitations for the IRS on the collection of unpaid taxes. Many people wrongly interpret this law by assuming that if an unfiled return occurred more than ten years ago, the IRS cannot collect taxes. However, the statute of limitations applies once taxes are actually assessed, either by means of a return that is filed late, that is prepared for you by the IRS, or any settlement agreement that you have come to with the IRS. There is another statute of limitations that precludes you from receiving a refund for an unfiled return that is more than three years delinquent. Once your unfiled returns pass this three-year mark, any refund that you could have received had you filed in a timely manner becomes the property of the U.S. Treasury and cannot be claimed by you or applied to any taxes you might owe in the future. The 10-year statute of limitations can be tolled (extended) in some circumstances. Typically, this occurs when you file any sort of appeal with the IRS, such as a request for relief or an offer in compromise. Filing bankruptcy can also toll the statute of limitations, as can signing a waiver that allows tax collection to extend past the 10-year mark. As you can see, the IRS has ample legal authority to ensure that your tax debt is paid in full. If you do not file your returns, the IRS will prepare a substitute for return (SFR) for you based on an estimation of your income. However, the IRS will file your return assuming that your are a single person. Any deductions that you could have claimed, such as those for dependent children, medical expenses or business expenses (if you are self-employed), are not calculated in the SFR. Once the IRS files your returns for you, this does not preclude your right to file an amended return that includes authorized deductions. However, you must act in a timely manner. You have a limited amount of time before the IRS begins the collection process. Once your back taxes are assessed, the IRS will send you a Notice and Demand for Payment, after which you have ten days to respond. If you ignore this notice, the IRS will then send you a Final Notice of Intent to Levy and Notice of Your Right to A Hearing. An IRS agent may deliver this to you in person or leave it at your home or place of employment. If the IRS cannot locate you, it will mail the notice to your last known address by certified or registered mail. This notice will specify the method by which the IRS intends to collect the debt. After this time, you have 30 days to make arrangements with the IRS for a payment plan or dispute the amount assessed. Once the 30-day window closes, your options become extremely limited. 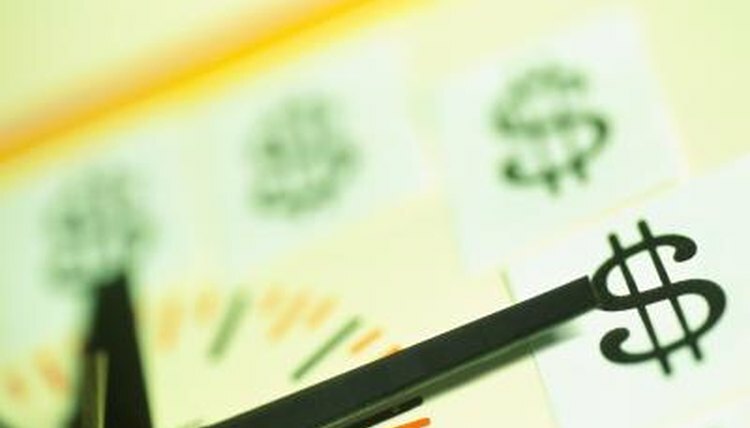 When it comes to collecting unpaid taxes, the IRS has a variety of methods in its arsenal. If you own real property, the IRS can place a lien against your home for the amount of the unpaid taxes. Alternately, the IRS may issue a levy -- this permits the seizure and sale of your personal property, such as a car, boat or even your home. The IRS can also levy your employment wages, retirement account, dividends, bank account, rental income or the value of your life insurance. The amount you owe the IRS will be subject to interest and penalties. Once the IRS actively starts to collect your tax debt, there is very little you can do. Sometimes a levy may be partially lifted if you can show hardship. However, if you have a history of non-filing, it is highly doubtful that the IRS will lift a levy or lien once it is imposed. Willful non-filing is a federal crime. You may leave yourself open to criminal sanctions, including a fine of up to $100,000 for individuals ($200,000 for corporations), a year of imprisonment, or both for each year that you fail to file a return. Sefcik, Lisa. "How Far Back Can the IRS Look for Unfiled Taxes?" , https://legalbeagle.com/5261363-far-irs-look-unfiled-taxes.html. Accessed 25 April 2019.